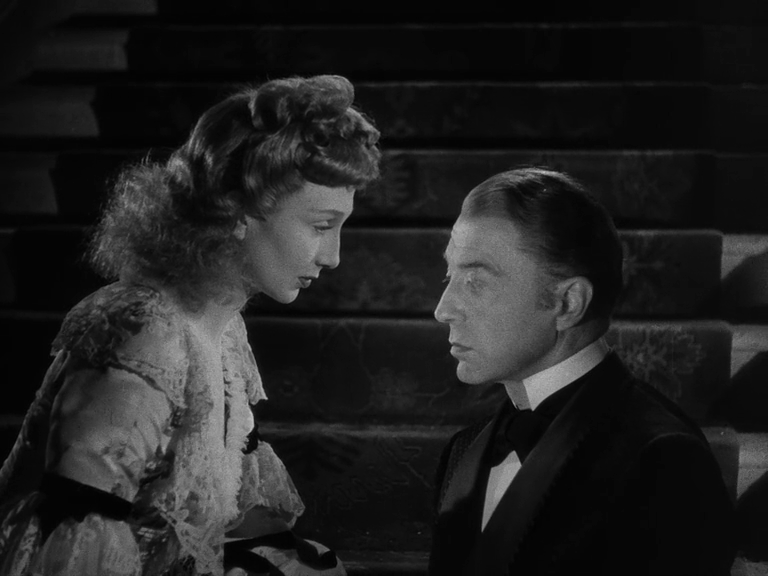 A penniless Brit (Roland Culver) attends a soiree hosted at the house of his poverty-stricken friend, the Duke of Bristol (Clive Brook), which Brook is renting to a young American heiress (Googie Withers). 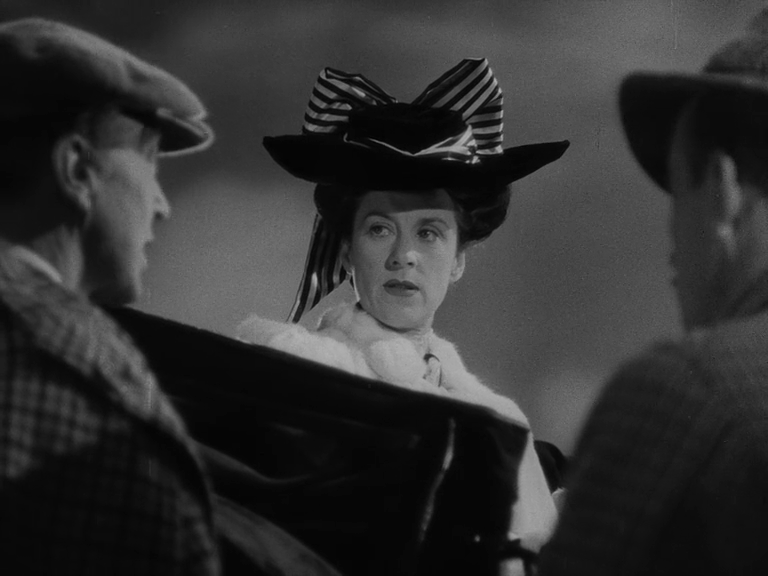 A wealthy widow (Beatrice Lillie) offers to live with Culver for a month “on approval” at her island in Scotland, to see if they’re compatible as marriage partners, and they’re soon joined by Brook and Withers as well. Will Culver live up to Lille’s expectations — and will Brook finally realize Withers has a crush on him? Clive Brook’s adaptation of Frederick Lonsdale’s 1926 play is a minor but engaging historic trifle that slowly grows on you, and pays off nicely in the end. 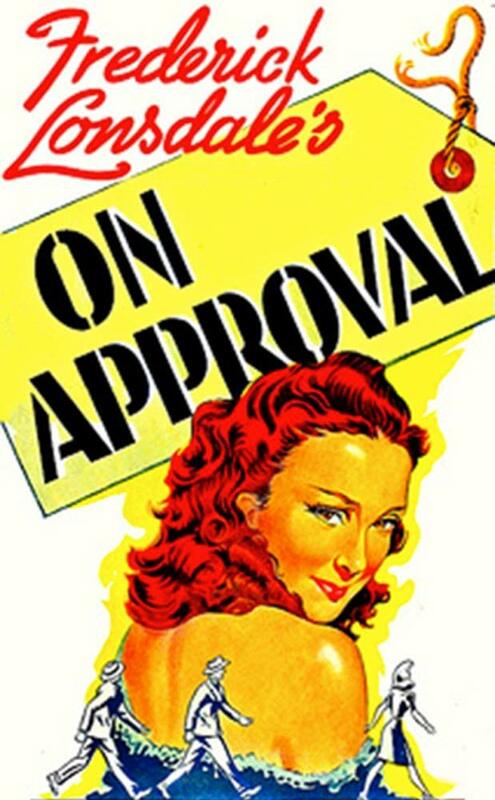 The premise itself — about a middle-aged widow proposing spending a month together with her new fiance to ensure they get along well — is an intriguing one, and makes complete sense; why not try such a momentous choice “on approval” before purchase? The film opens with a clever sequence of news clips ensuring 1944’s audiences that they’re NOT about to watch yet another noisy war film — in fact, they’ll be taken back in time to a much gentler (Victorian) era, and allowed to escape for awhile into this former milieu. 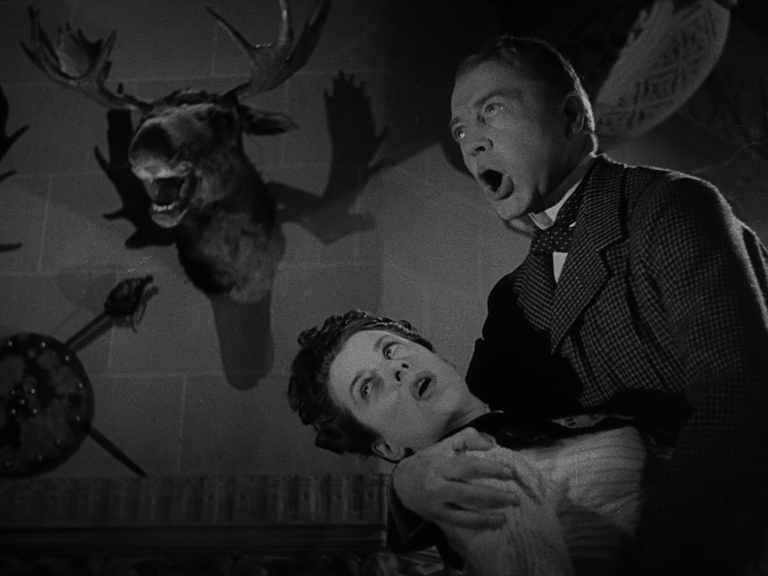 (The closing scenes of the film are also highly creative, utilizing sped-up footage and surreal imagery to show how the sticky situation finally resolves itself.) Lillie (primarily a stage actress) is perfectly cast in the leading female role, and it’s fun to see Withers — a strikingly unique looker — playing someone so diametrically opposed to her character in Night and the City (1950) just a few years later. The two leading men are fine, but it’s the women who really make a splash here — purposely so, as it’s the penniless boys who ultimately need to prove themselves worthy of the gals’ affections. Yes, as a droll and witty surprise. Listed in the back of Peary’s book as a film with Historical Importance. Must-see – a uniquely charming high comedy which (imo) is a joyous experience throughout. It lends itself well to (in fact, invites) repeat viewings. This is the kind of film that – for best results – requires concentration. Though there are also some fun, non-verbal visuals, the film is simply jam-packed with sparkling and caustic repartee; failure to focus for a minute could cost you a few laughs. And it’s not as though the concentration itself takes any kind of effort – the whimsical tone is so immediate and infectious that you may be drawn in in spite of your own mood. In this parade of manners, we follow two newly-forming couples. Two of the people are boorish; they believe themselves to be very well-bred and all-too-worthy of admiration… when, in fact, they border on unbearable. The other two in the mix do, at first, admire the first two greatly… until they find themselves in close quarters with them (and their true colors) for a month. This is not only the surefire stuff of conflict but also the ingredients for comic fireworks… provided the writer comes up to the plate of full potential. ~which Lonsdale does, without slipping. Not only Lonsdale; Brook allowed himself something of a free hand in his adaptation (a number of moments are not in the play but are Brook additions that are quite in keeping with Lonsdale’s style). I was mesmerized – and the film fast became a favorite. There are sections of the script that have the kind of rhythm that brings Oscar Wilde to mind – particularly some of the two-character scenes in Wilde’s ‘Importance of Being Earnest’. The difference is that Wilde operates on a somewhat loftier plane; Lonsdale (though just as witty and intellectual) has a more direct use of language and he’s more interested in a simpler if just as effective ‘bite’. 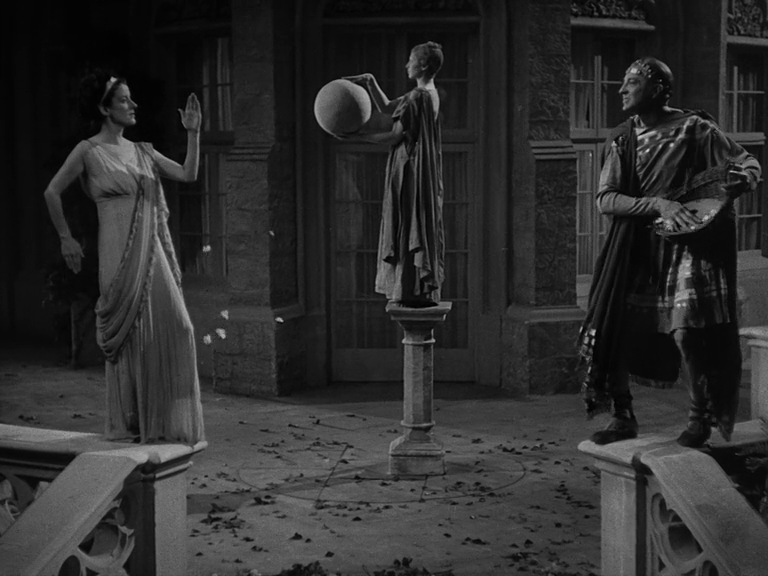 Special mention must be made of DP Claude Friese-Greene’s splendid work – *and* Cecil Beaton’s endlessly delicious costumes. The four leads (Brook, Lillie, Withers and Culver) are nothing short of inspired. Collectively, we aren’t just watching wonderful ensemble playing… we’re watching comic genius having a whale of a time!